I love apples - as evidenced by yesterday's collection of apple related goodness - and apple season is finally here. Sangria is one of my favorite drinks - but it's usually reserved for summer. 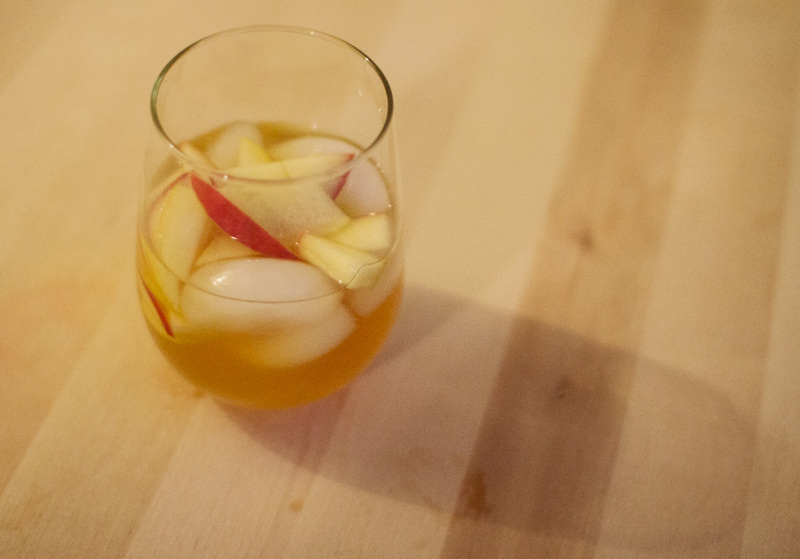 I had been playing with mixing bourbon and white wine when Jason suggested adding apple, and it clicked. 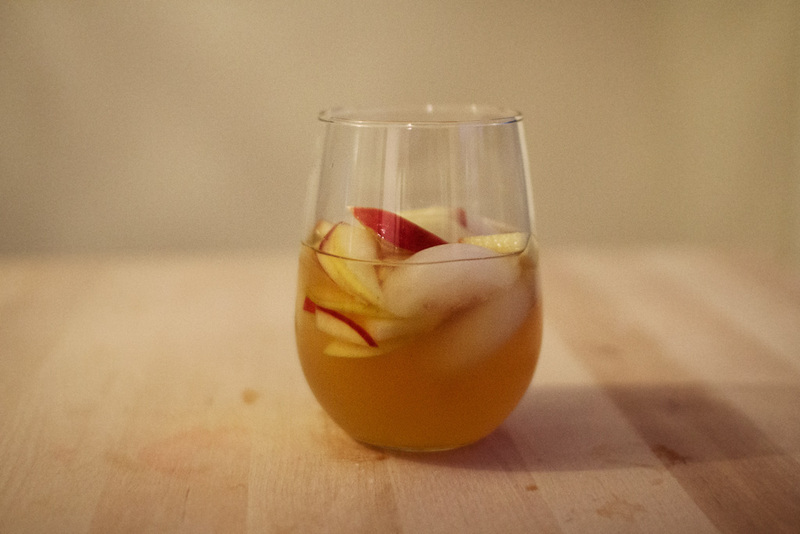 A yummy apple sangria for fall. This is by far the best sangria we've made - I wanted to take more photos the next day as I took them as I poured us each a glass for Saturday night dinner, but we finished the entire pitcher that night. 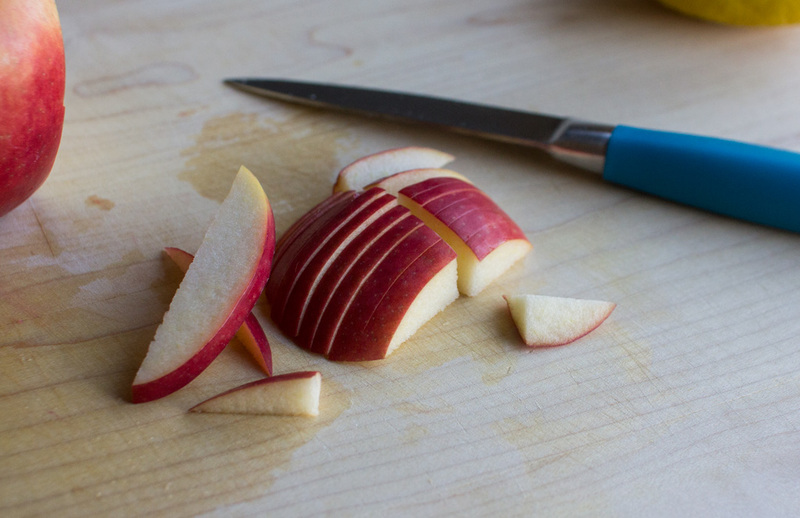 Sliced your apples into thin slices and put into a large bowl. 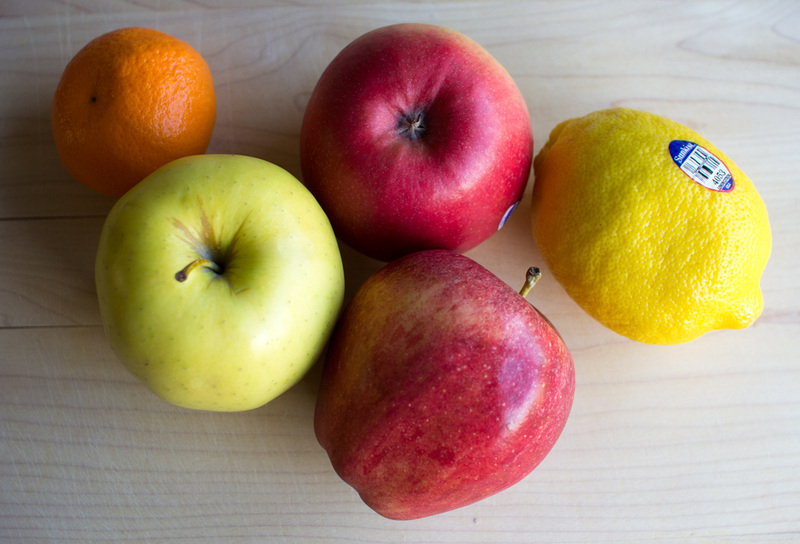 Peel your tangerine and put the slice in with the apple. 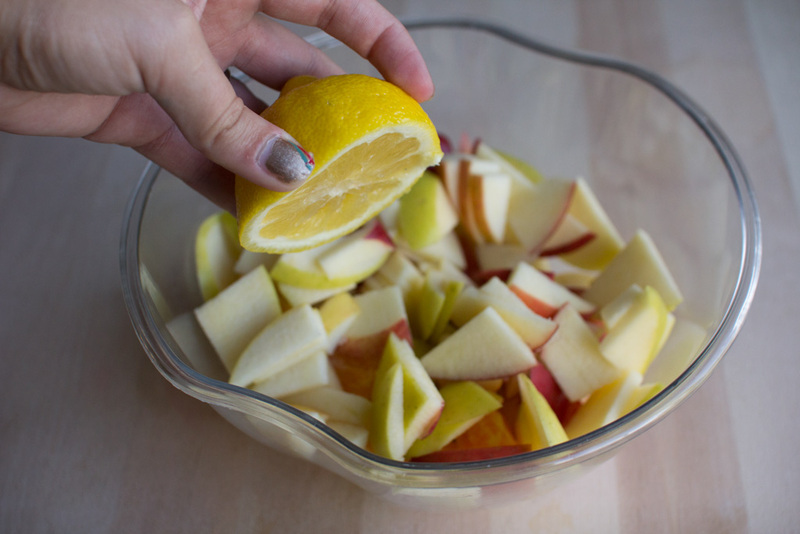 Cut a lemon in half and squeeze over the apples, tossing. 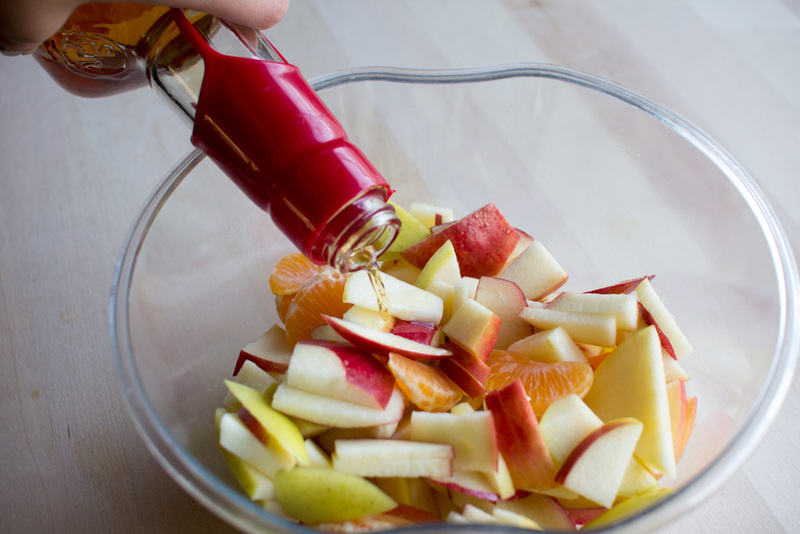 This will brighten the flavor as well as keep the apples from browning. 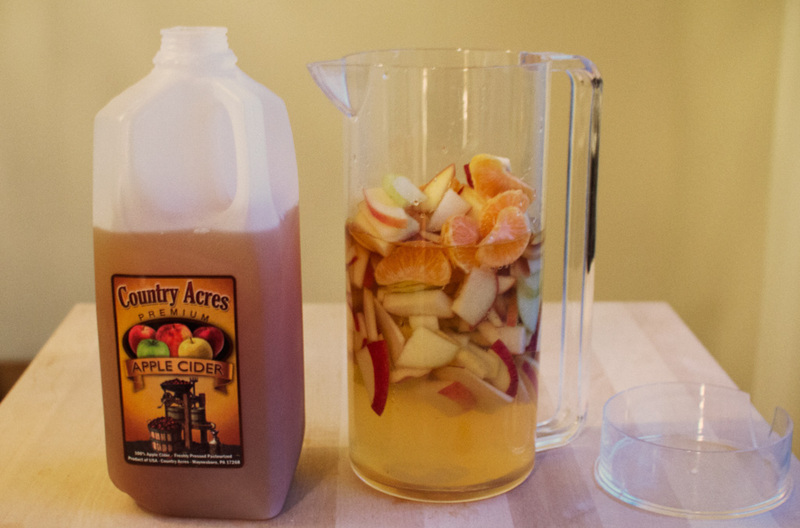 Next, pour about 3 shots of bourbon over the apples and tangerines and toss well. Finally, add the entire bottle of wine. Place in the fridge and allow to sit for a few hours. 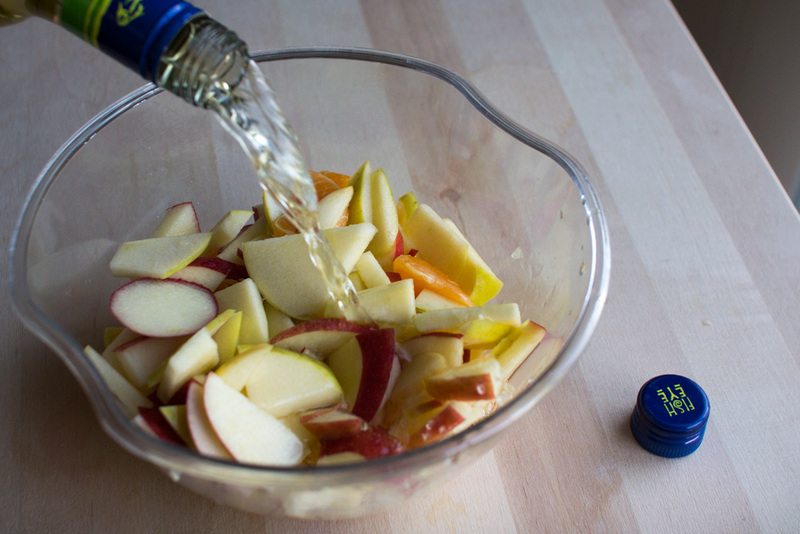 Transfer the fruit and wine mixture to a pitcher. Fill with apple cider. Serve with a few cubes of ice! Enjoy! That looks so delicious, yum! Good tip, I'll keep it in mind! Yummy, that sounds AMAZING. I just made an apple cider mimosa... apple cider substituted for the OJ. It was delish! 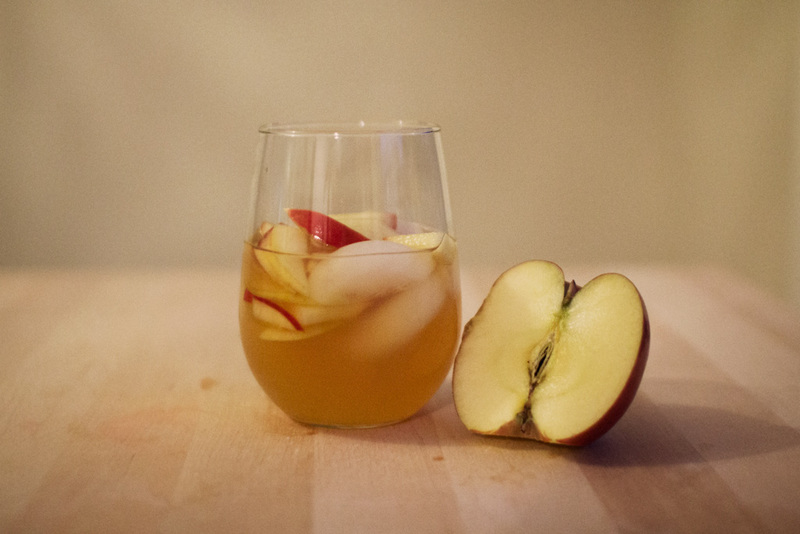 Apple cider and bourbon... I can't think of a better combo, unless of course you figure out a way to mix some maple syrup in there, but that might just be the Canadian in me talking. Oh my goodness, amazing! I have to try this!